Brodie’s musical career started when he was just into his teens in 1961 as half of a duo, singing close harmony and playing rhythm guitar with a close friend. Later a mutual friend who played drums joined the two, to make up ‘The Midnight Three’. The band performed a mixture of folk songs, especially those of Peter, Paul and Mary, and pop songs of the day, by such artists as the Everly Brothers and the Beatles. The band’s first major performance came at a children’s summer camp in 1963. Singing lead vocal and playing rhythm guitar, Brodie performed his first composition ‘When the Time is Right’ to a screaming audience of 400 youngsters. The song, written that year, was influenced by American pop songs of the late 50’s. In the mid 60’s, Brodie went to live in Toronto, Canada and in a short time had written a series of country songs, having been influenced by the country artists of the day. By the late 60’s, he was leaning more towards ballads and wrote several, some with a ‘country’ feel others more folky. During the 70’s, and now back in the UK, Brodie performed solo at various venues – pubs, folk clubs and restaurants, singing a mixture of his own compositions, pop songs and popular ballads. It was during this period that most of his songs were written, 10 of which appeared on indie-label Abrodisiac Records LP, the Open Brode. More recently, Brodie has taken his original recordings and multi-tracked harmonies and additional instruments using PC editing software. Other ventures have included working with a co-writer to produce a news signature tune and a fanfare suitable for a TV or radio sports programme. The fanfare featured in a multimedia presentation which opened a conference at the Bournemouth International Conference Centre, UK, in July 2002. 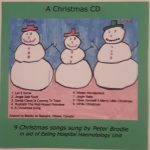 The CD ‘The Music of Peter Brodie’ was linked to the fundraising intiative. For every copy sold during 2004, Brodie gave one US Dollar to the International Foundation for Disabled Sailing (IFDS), the body responsible for disabled sailing worldwide. The money went to increasing awareness and accessibility for disabled sailors around the world. Details of airplay can be found on the page ‘airplay‘. 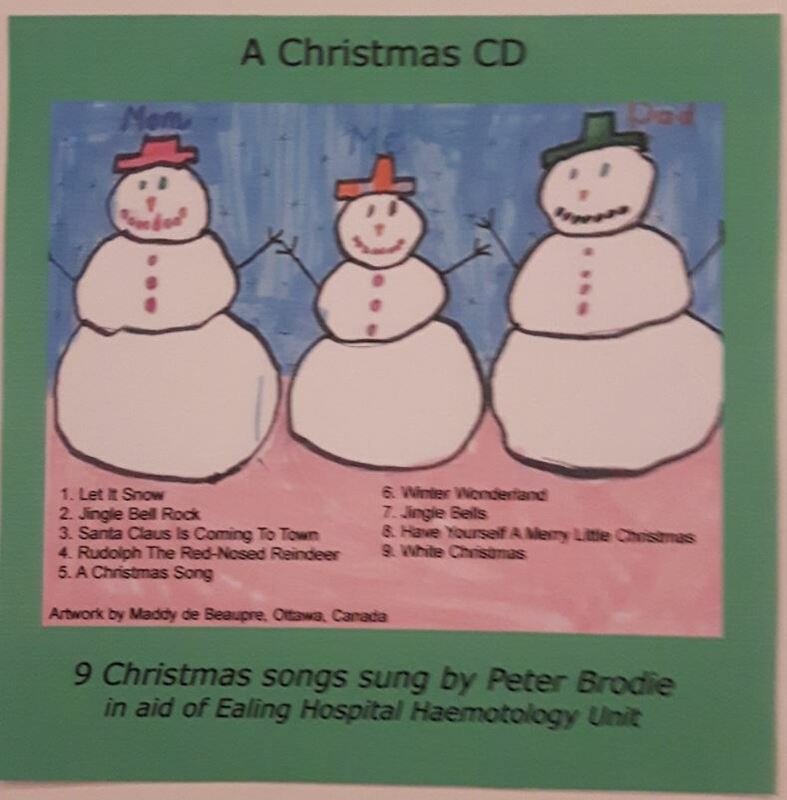 In 2014, Brodie recorded on a CD which was at the heart of a fundraiser for the Haemotology Unit of Ealing Hospital, UK where he had been a patient. On it were popular Christmas songs, some of which can be heard on the page ‘christmas songs‘ on this website. Since then, he has taken courses in singing jazz standards which led him to perform these and other types of songs at open mic evenings and at end-of-year concerts. He is now part of a trio singing mainly pop songs from the 60s and 70s in close harmony. The newly-named trio, Factory Reset, has been performing at open mic evenings.